Lanikai’s exclusive new TunaUke technology allows any uke player to intonate their ukulele through individual movable wedge saddles and a compensated nut specifically designed for each model size. This easy to use technology requires no tools and improves intonation all across the fretboard by over 90%! 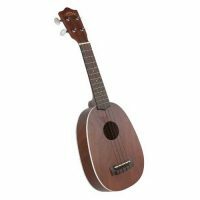 The LUTU-21T TunaUke Equipped Mahogany Tenor Ukulele is based on our popular LU-21T ukulele, but with Lanikai’s innovations that improve tone and playability. We upgraded the tuning machines by utilizing diecast tuners which provide improved tuning stability. 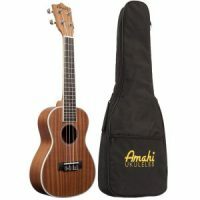 Lanikai’s exclusive new TunaUke technology allows any uke player to intonate their ukulele through individual movable wedge saddles and a compensated nut specifically designed for each model size. This easy to use technology requires no tools and improves intonation all across the fretboard by over 90%! 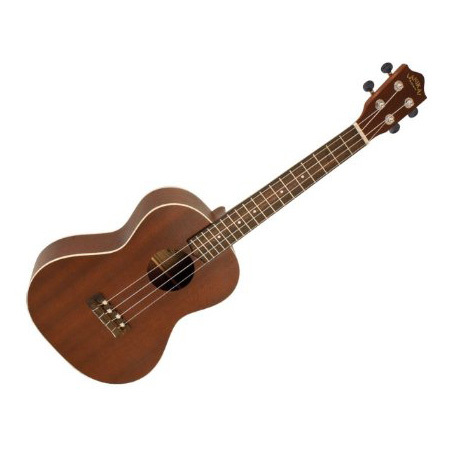 The LUTU-21T TunaUke Equipped Mahogany Tenor Ukulele is based on our popular LU-21T ukulele, but with Lanikai’s innovations that improve tone and playability. 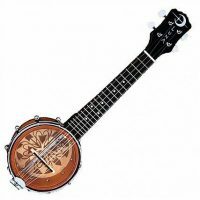 We upgraded the tuning machines by utilizing diecast tuners which provide improved tuning stability. The compensated, wide-spaced 37mm TunaUke nut not only drastically improves intonation, but also mimics the tonal response of natural bone. 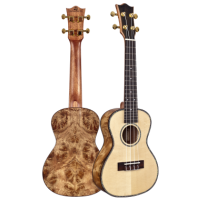 Snail Ukulele Camphor Burl Concert Gorgeous Solid Spruce top and Camphor Burl back and sides. Concert size with bag.